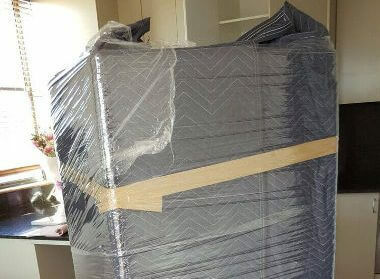 Moving can be very stressful, which is why you need reliable, professional Al Khalidiyah movers to help with this task. These experts are well-trained, have access to all required tools, and are aware of local as well as international laws governing this industry. 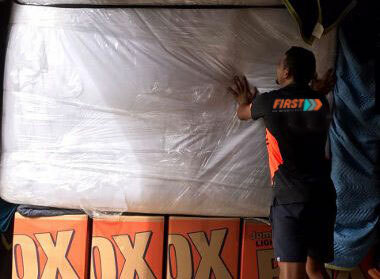 First Removalists is an Australian-based company with a well-established reputation that provides excellent moving services in many cities in the UAE. We have carried out several good quality, cheap removals over time so our experts know this process like the back of their hand. Home move – Moving homes is always a stressful time, which is why you should choose one of the best removalist companies in Al Khalidiyah for the job. Our team is focused and well-trained so they’ll make sure your house move is handled well. All items will be packed securely, loaded carefully, and delivered on schedule. We offer full and partial services based on your requirements or budget. Clients get a highly customized home removal service at a reasonable cost. Office moves – Offices have important equipment, documents, furniture, etc., so these removals should be handled carefully. 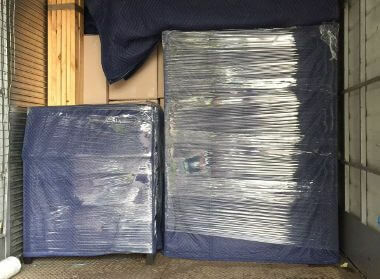 Our trustworthy team will pack and transport all items carefully, making sure nothing is damaged in the process. We focus on planning so all moves are organized carefully. There’s little chance of delays or other related problems. 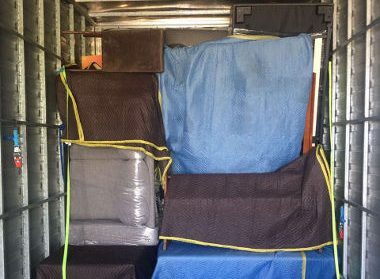 All professional cheap removals plans are customized, tailored according to client preferences so don’t hesitate to explain your requirements to our customer care executives. They’ll provide a great plan along with a free quote. Moving furniture can be very challenging because these items don’t have standard shapes. They can’t be placed inside moving boxes for secure transport. We have ample experience in professional furniture removals so we know how to handle this process. Our experts will disassemble large pieces to make them easier to transport, wrapping all individual components to protect them from scratches or scuff marks. Smaller furniture items are also wrapped thoroughly to ensure there’s no damage. All items are unpacked and reassembled at the destination location carefully. 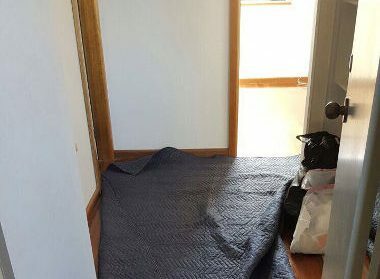 Clients don’t need to hire carpenters for this as our experienced removalists know how to reassemble furniture without causing any damage. Few items – DIY moves are difficult, even if you only need to transport a small number of personal possessions. This removal service involves 1 man and a 2-tonne van. It’s suitable for a few furniture items or single large items like a piano. Medium move – This is suitable for 2-3 bedroom moves, especially if you have many items to transport. We send 4 experienced removalists along with a 6-tonne truck. This option will transport many items in a single trip. Large move – A large move involves 4 movers along with a large truck, capable of transporting a 3-4 bedroom home easily. This group of removalists can easily pack, load, and transport items in a timely, efficient manner. You can consult with our customer service executives to determine which option is most suitable. 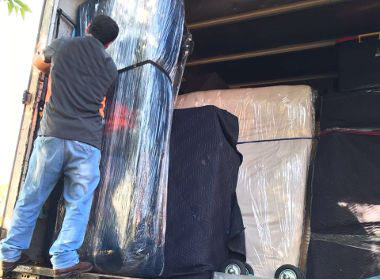 If you’re looking for “best movers near me” and want options, we can help. 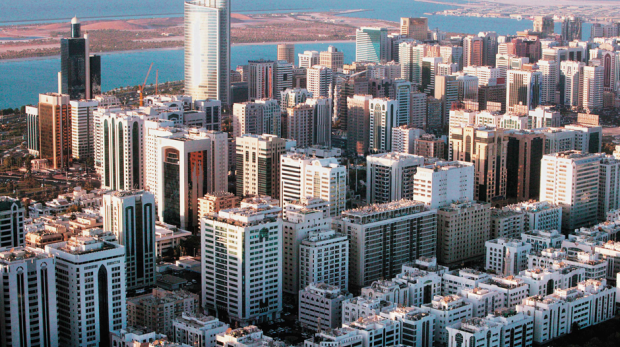 What do we offer as the best Al Khalidiyah movers in this industry? Packing and unpacking by the best, low cost movers – Expert removalists will carefully pack and unpack items as part of full-service plans. They’ll use good quality materials along with meticulous packing techniques to keep you safe. Free boxes – Clients get free moving boxes for their moves so there’s no need to purchase anything. These boxes are in good condition, keeping all kinds of cargo secure during your move. Free quote – We provide free quotes and you can also use our online cost calculators so you know the price of cheap removals This helps clients form a budget and choose a service option that fits it. We’re licensed and insured and reliable and you can trust us with your personal possessions. All employees are trained to ensure you have a great experience with us. Do you need reliable and affordable Al Khalidiyah movers? We at First Removalists are the right choice for you. Get in touch with us through our online form or call us on 0525 633 557, our customer service team will be happy to assist!